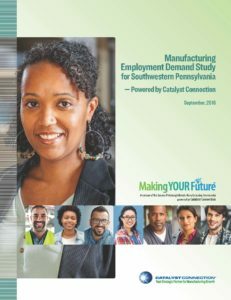 Catalyst Connection is releasing the “Manufacturing Employment Demand Study” as part of its Making Your Future initiative to support manufacturing job growth in Southwestern Pennsylvania and to better understand the current and projected demand for workers and the skill sets sought after the regions’ employers. Click here to download the Manufacturing Employment Demand Study. Key goals of the study were to determine if there is an increased need for: investments in workforce development, improvements in immediate employability skills, change in perceptions of manufacturing careers, and improved employer practices to attract and retain a skilled and qualified workforce. 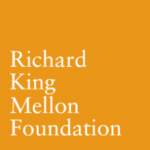 The study, funded by RK Mellon Foundation, found that respondents are committed to this region, but are experiencing higher costs due to the skilled worker shortage. Respondents also reported that there will be significant amounts of hiring over the next 5 years due to business growth, retirement, turnover, and investments in new technology. Almost all respondents have current open positions, with approximately one third of open positions being entry level. Of the technical production open positions, machine operator is the most needed position. Respondents also noted that the top skill deficiencies in applicants include: basic employability skills, basic technical degree and basic mechanical skills. Finally, less than half of respondents are engaged with training providers in their community. As a result of this study, Catalyst Connection will work closely with our partners to better prepare entry level workers for jobs in manufacturing, introduce advanced manufacturing careers at the middle school and high school level, support employers as they seek to become “employers of choice”, and better connect employers to training providers in their community.